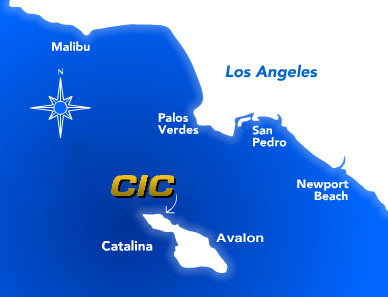 Catalina Island Camps is located at Howlands Landing, a cove on the leeward side of beautiful Catalina Island. Just 22 miles off the coast of Southern California, Howlands Landing is surrounded by magnificent ocean views and breezes. Our cove is approximately three miles, by boat, west of Two Harbors, a small boating community located at the Isthmus of Catalina Island. We are approximately 20 miles west of Avalon, the main “city” on the Island. Our mainland office is in Altadena with our sister camp, Tom Sawyer Camps, a Pasadena area day camp.